Your next surgery could be done by a robot. There were 570,000 robo-surgery procedures performed last year around the world, up from just 1,000 15 years ago, according to Intuitive Surgical. That's likely to continue to grow due to global aging trends and advanced technologies like robotic controlled catheters and HD microscopic cameras. The global market for medical robotics and computer-assisted surgical equipment is set to soar to $18 billion by the end of 2022, BofA estimates. Intuitive Surgical (ISRG) is one of top stocks in the U.S. that BofA identifies in this area. 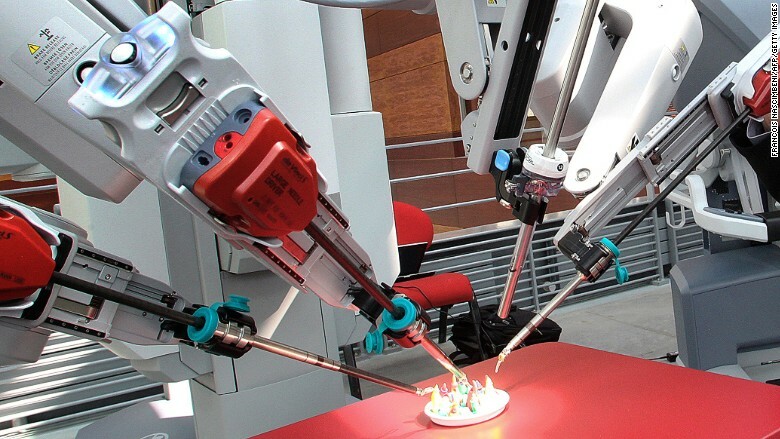 The company makes Da Vinci, which BofA calls the "granddaddy of surgical robots."